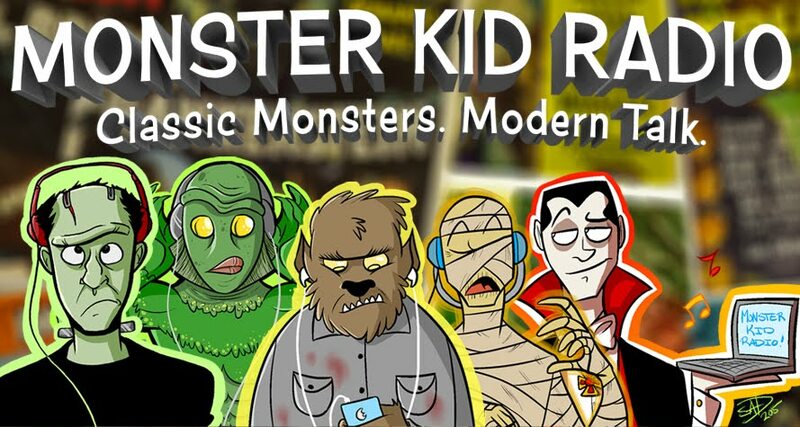 For the first time, Derek recorded an episode of Monster Kid Radio with a REAL LIFE PERSON (he's not related to!) at Monster Kid Radio Headquarters when Paul McComas dropped in during his recent trip to the Pacific Northwest. As one of the biggest fans of Lon Chaney, Jr., ANY of us know, Derek knew Paul was the PERFECT guest to discuss the films Calling Dr. Death (dir. Reginald Le Borg), Weird Woman (dir. Reginald Le Borg), Dead Man's Eyes (dir. Reginald Le Borg), The Frozen Ghost (dir. Harold Young), Strange Confession (dir. John Hoffman), and Pillow of Death (dir. Wallace Fox) - the Inner Sanctum Mysteries. Some of these movies are great. Some . . . leave a bit to be desired. Come along for the Chaney ride with Derek and (Birthday Boy) Paul as they pick apart the films, and take some delightful Lon, Jr., sidetracks along the way. Also, Derek announces the next few Monster Kid Radio Crashes happening in the Portland area!